Jerome originally got into mountain biking in the 80s and is back at it for round 2. We talk about Jerome’s major weight gain after 2 years in the US and too many trips to Taco Bell. Jerome compares some racing he has done in Canada vs the US and then we dive into preparation for the Marji Gesick 100. 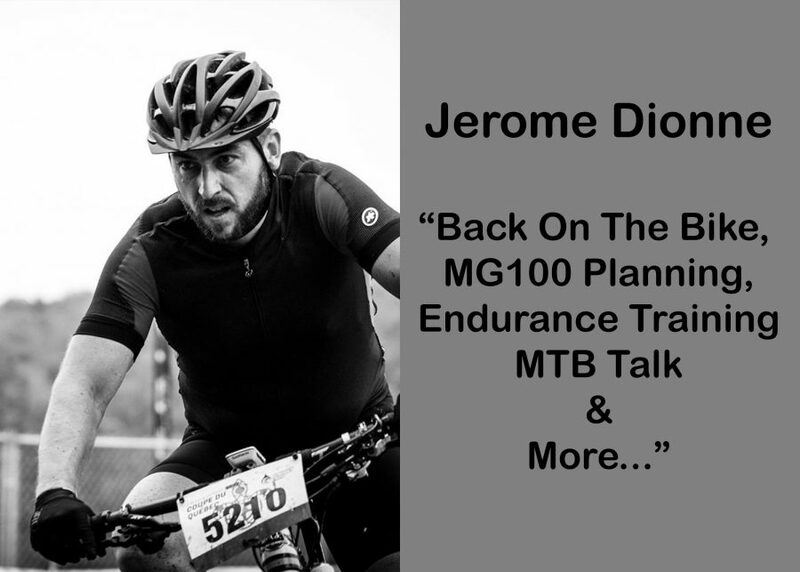 We talk about a hole bunch of stuff, including endurance training, gear & equipment, the upcoming fatbike season, etc… all while Jerome throws some questions my way for some good open discussion. It’s a bit of a longer episode, but we talk about a whole bunch of topics… So fire this one up over a couple commutes and enjoy! BTW, would love some feedback on this type of an episode. If you like the open and sometimes random discussion, then I might bring some guests on just for that purpose. Hit me up and let me know. Enjoy! Listen in to Jerome Dionne and I cover a whole lot of topics…!